The tax deduction by individual and corporate Australians for donations to charities is estimated at around $1.3 billion dollars annually. Yet, for charities and other organisations that offer tax-deductible status to donors there's no immediate financial benefit, though the opportunity for a tax deduction undoubtedly influences the public on where it decides to donate. Taxpayers will likely choose to give to a Deductible Gift Recipient (DGR) so they can stake a claim for any donation over $2 on their annual return. Not only is there a financial incentive for donors, but there also may be spin-off clout for the tax-deductible organisations because the government is showing them support. Clearly, which organisations get tax deductible status is important. After all, the government is forgoing more than a billion dollars in taxation revenue to bolster their coffers via donations. It's money that might otherwise be allocated to social housing, upgrading the NBN, or other projects for public benefit. So there needs to be assurance that the money has gone to a worthwhile cause and it's appropriately spent. But why some organisations have tax deductible status and others don't is far from clear. And it's contentious – the result of a process that's often opaque, political and discriminatory, says Fiona Martin, a professor in the school of taxation and business law at UNSW Business School. Some are given it because they fit neatly into one of 51 categories listed in Division 30 of the Income Tax Assessment Act 1997, but there's a bunch of outliers – about 190 tax-deductible recipient organisations specifically listed because of "exceptional circumstances" in the legislation. For them, DGR status is recommended by members of parliament and approved by the Minister for Revenue and Financial Services, and it's now raising big questions. "There's no way of knowing how these 190 organisations get tax deductible status. Someone lobbies politicians who lobby the Cabinet and the minister and they get it through," says Martin. Why can a group such as the Bourke Street Fund – indeed a worthy cause brought about by a nationally recognised tragedy – offer tax deductibility to its donors whereas a group of flood-affected victims in regional Australia cannot? Headlines tell at least part of the story. In the Bourke Street case, Prime Minister Malcolm Turnbull immediately signalled his support, working with the Victorian government, for victims of the violence that occurred when a car drove into pedestrians in Melbourne's CBD. Within a day or two, he had announced the fund would be a DGR. Who gets to be a DGR is just the start, says Martin. "If these specifically listed tax-deductible organisations are not charities, then there's no third-party scrutiny happening." The audited financials of large charities are publicly available through the regulator, the Australian Charities and Not-for-profits Commission (ACNC). "But there's no publicly accessible means of finding out how any money is being used that's going into a specifically listed DGR that's not a charity – whether that money comes from donations or government grants," notes Martin. The Australian government is moving to tackle some of these issues, and potentially make improvements. Last year, Treasury released a discussion paper, 'Tax Deductible Gift Recipient Reform Opportunities', in which it canvassed stakeholder views on requirements for specific listings, including whether there should be a sunset clause. With some 2500 submissions in hand – many overwhelmingly in agreement that the process for obtaining DGR specific listing needs reform and that there's a need for transparency, clarity, formality and consistency – outcomes are eagerly awaited. Minister for Revenue and Financial Services Kelly O'Dwyer, has announced all DGRs will have to be registered charities from 2019, but is yet to announce a process for this. Could this be the end of specific listings? Not likely, Martin suggests, "because the present DGR framework does not fit every charity and the need for revenue means the government will not be inclined to expand it to include all charities". In 2015, the ACNC reported 38.5% of charities had DGR status. Far from calling for the abolition of specific listings, Martin is also eager for the arrival of a transparent, fairer way forward and an end to the present discriminatory processes. "If you're a little charity and you don't fall within the DGR categories, you wouldn't have the resources to even know what to do to get a specific listing. You wouldn't have legal advisers to tell you, or know, who to lobby. There's no process for you, and that's discriminatory," emphasises Martin. "Making organisations register to be a DGR doesn't preclude the question of how they got tax-deductible status in the first place, which may come down to what's in the eye of the public at the time that the political powers think is important." Might their motivations have been vote-catching? In her paper, Tax Deductibility of Philanthropic Donations: Reform of the Specific Listing Provisions in Australia, Martin supports a concept advanced by Philanthropy Australia for an independent panel to make recommendations on which charities should be granted a specific listing. The panel would be charged with ensuring "specific community groups have a voice in general community discussions, [and consider] the needs of emerging groups within Australian society and evolving community welfare issues". Philanthropy Australia, itself a specifically listed DGR, covers this in its submission to the government's discussion paper. Putting all specifically listed organisations under the scrutiny of the ACNC is the right move, Martin believes, and will take care of many concerns, including that some appear to no longer be operating. As a regulator, the ACNC has proven highly effective since it was established in 2013, Martin attests, and one of its standout achievements has been culling more than 10,000 defunct charities. Suggestions of five-year reviews and sunset clauses in the government discussion paper, however, are also discriminatory as smaller charities may not have the resources or capacity to deal with these processes, Martin says. It's worth noting that the government discussion paper doesn't stop there. It singles out environmental organisations with DGR status for how much advocacy they may undertake, suggesting 25% to 50% of their donation revenue should be allocated to environmental remediation. This may be seen as a move to quieten environmental activists' voices, and Martin points out limitations on advocacy are not proposed for charities in other highly politically charged areas, such as church groups that are pro-life, or refugee organisations. It also plays to a high-anxiety area for the not-for-profit sector around funding as many depend on government grants and maintaining their DGR-status. The ACNC's Australian Charities Report 2015 revealed more than 46% of large charities (revenues of $1 million and over) were likely to rely on the government for more than half their income. Self-censorship is understood to be rife in the sector, as charities tend to hold back from effectively biting the hand that feeds them. 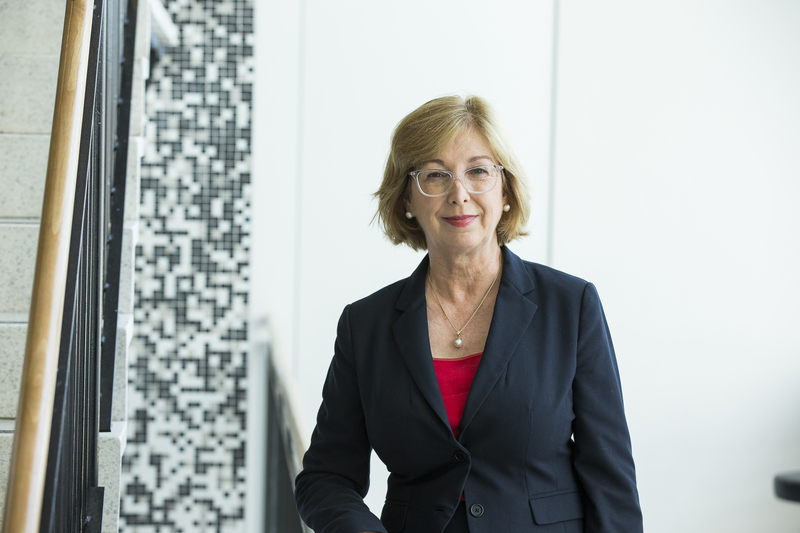 Former Philanthropy Australia CEO Gina Anderson observed in a recent article for the Centre for Social Impact "an uneasy silence" in the charity sector around government policy. With 2500 submissions on its discussion paper for consideration and the first five-year review of the ACNC slated for 2018, Martin recalls that a previous government looked at abolishing the regulator, and she points to this year as a time of reckoning for the sector. "What we don't want to do is go backwards," Martin says.